" We see emergencies right away"
You are having a dental emergency, and you need immediate attention. 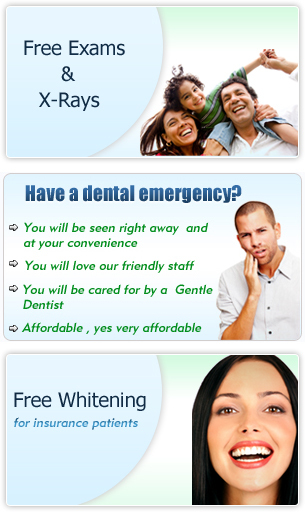 You will get immediate help and relief at City Dental Centers. If you have pain, swelling, cracked or loose tooth, loose crown or bridge, or any other dental emergency or injury call us for an immediate appointment. Ignoring the problem will only make things worse and more expensive. If the emergency is severe or life threatening, please call 911 or go to a hospital. The Hospital staff will contact your City Dental Center Doctors if needed.